A knowledge base is a ready resource that answers most of the frequent concerns that internal teams and customers have about products and services. Given that a knowledge base is an indispensable tool, organizations spend a lot of time in creating and perfecting its contents. Although you are already using a knowledge base, did you ever think about trimming the creation time that can allow some breathing room for your internal teams? Creating a knowledge base requires plenty of brainstorming, endless web searching and yes, consuming gallons of coffee. Sometimes, brainstorming generates such an exorbitant amount of information that it cripples the thinking ability of teams, thereby extending the creation cycle. Moreover, it causes information overload that might be deadly for your organization as this Forbes research suggests. So, is there a way out? Certainly. If you can shorten the brainstorming or link gathering process, your job is done. A cutting-edge, bookmark manager app such as start.me can cut down the mess that link searching and storing involves. In this blog post, we discuss what bookmarking does to your knowledge base creation and why it deserves to be a staple for knowledge management. Take a look. 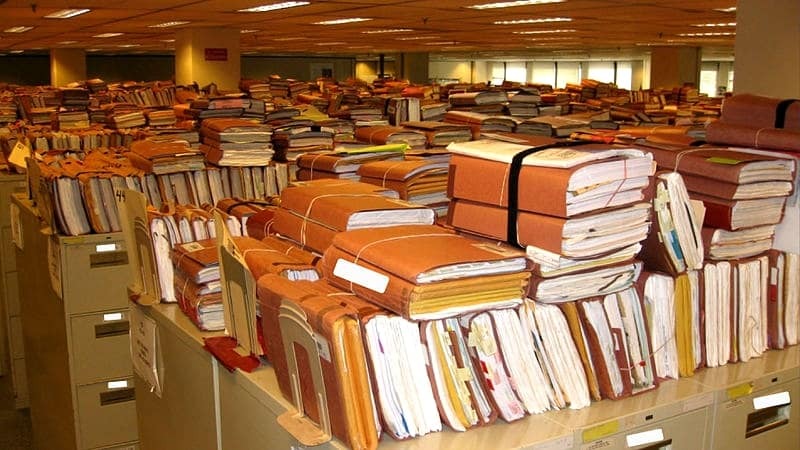 Creating a quality knowledge base requires time and effort as you need to collate the necessary resources on the web. After all, research is the prerequisite to come up with a valuable knowledge base that educates or addresses user concerns in a single go. When you complete the research, then only you can proceed with the creation that involves adding and trimming bits and pieces of information that lays the foundation of your knowledge base. Until you organize information resources, you are simply adding up more hours in the creation process. When you skim through links, some of them would be suitable for text info whereas others might be appropriate for creating charts, diagrams or videos. Therefore, simply saving web links one after the other won’t do the job. You have to organize the information, which is only possible with proper categorization. A bookmark manager such as start.me helps you organize an ocean of information in a few clicks, so that you don’t have to run from pillar to post, searching for information. You only need to create a category and then you can save your links. Once you know which category contains what “type” of information, you can cut down your knowledge base creation time in half. start.me also allows you to organize your bookmarks in blocks and pages, so you can right away click and access your link collection in seconds. Now that you have a resource pool in the form of web links or videos, you can start off with your knowledge base creation. But, what if you have saved hundreds of links and looking for a specific piece to get started? 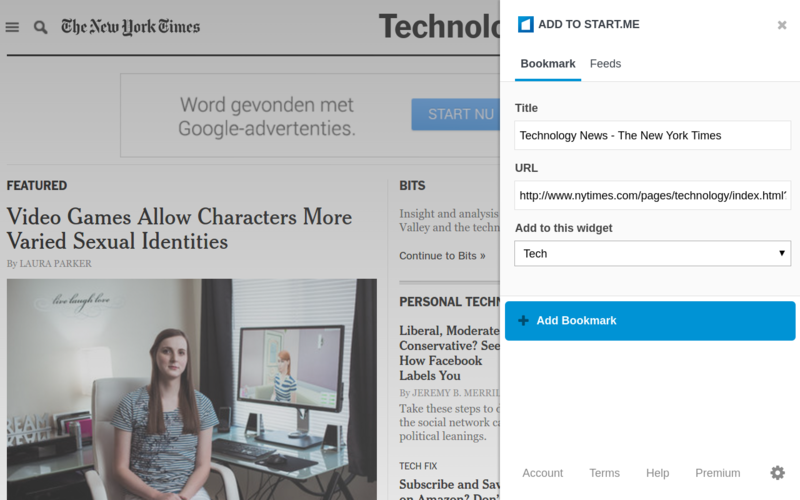 Thankfully, a bookmark manager also spares you time and frustration that stems from endlessly digging links. Just google the keywords as you usually do to get search results and you can bookmark the links, without having to leave the webpage. Moreover, you don’t even have to go for the manual “copy paste” to add the link to your bookmarks. Just add the link to your desired category and you’re good to go. Working with a team of knowledge experts for knowledge base creation? Not a problem. Bookmarking not only helps you secure your favorite links once and for all, but for your teams as well. It boosts team collaboration to ensure your colleagues can also reap the benefits from your knowledge resources. You can easily share your bookmark lists with your colleagues to supplement their existing knowledge that also helps to fill in any gaps in the final knowledge base resource. Using a bookmark manager such as start.me, you have complete control on your privacy. Share information with all your colleagues or limit access to a few selected ones, it’s your choice. No organization can do without effective knowledge management, no matter their size. You must ensure that team members are on the same page and remove the bottlenecks in knowledge creation, one by one. When it comes to knowledge management, getting and organizing links is only a tip of the iceberg. You also need to ensure that users don’t see a 404 while searching for information. For that to happen, your knowledge base should be intelligent enough to provide you suggestions for improvement. 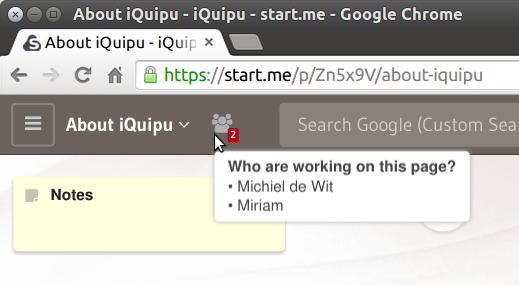 Even here, start.me comes to the rescue as it keeps on providing relevant links to the ones you have already saved. This way, you can always ensure that you never run out of resources and you keep on putting your best foot forward in knowledge management.